In October of 2013, the PRESS reported on the number of area restaurants on South Padre Island that had gone out of business, both in the previous year and over the last decade. That downward trend has continued, with more area restaurants closing their doors in 2014 and others struggling to stay afloat. 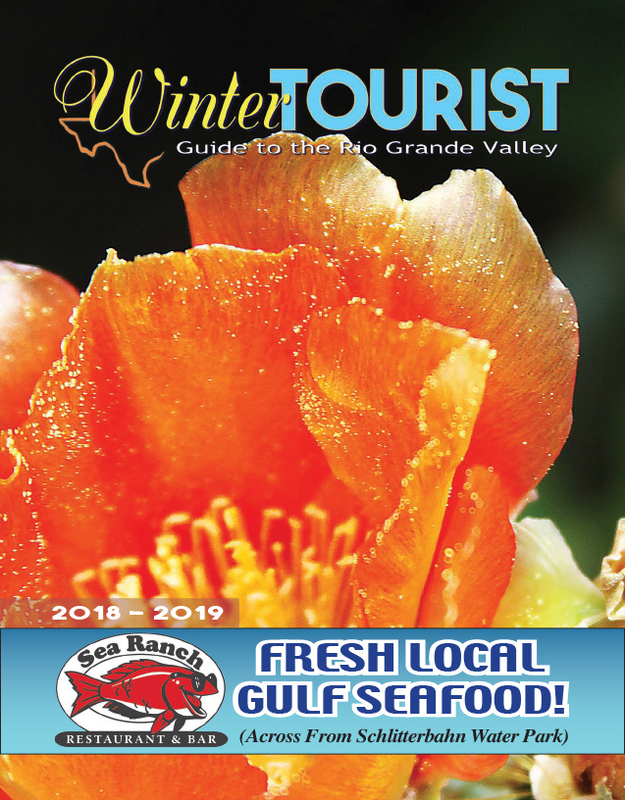 Adding to the list, over the past year, South Padre Island has witnessed the demise of Nami, the Taco Factory, Scampi’s, Chef’s Mexican Food and Big Boys, though the latter is scheduled to re-open as a seafood restaurant in the same location and by the same owner. That restaurant —another enterprise from local restaurateur Al Salazar— will be called the Crab House on Sheepshead. However, Big Boys closed in October of 2014 and the space has been empty since then. The more serious underlying issue is the lack of new tenants taking the place of failed ones. The closed sites mentioned in the PRESS — Blanca White’s, Amberjacks, Zeste, the Mutt Hutt and Tejas Brew Pub — still sit unoccupied, with some already in their second and third year of vacancy. Driving down Padre Boulevard today, empty, unattended buildings with for sale/lease signs have increased. The bayfront entertainment district is the most visible example. The appeal of the popular area lessened by large, empty waterfront properties sitting vacant. Waterfront locations such as these typically have successful restaurants, taking advantage of the panoramic ocean views and close proximity to Island entertainment venues like Louie’s, Laguna Bob and Tequila Sunset to help keep their businesses prospering. To date, not one new business has opened in any of those prime waterfront locations. Other area businesses are feeling the pinch, with relatively new restaurants like Yalla Habibi and U-Mix struggling to keep their doors open. On a recent Sunday afternoon, Javier Martinez, U-Mix employee, volunteered a comment on declining sales. “Yeah, it’s been really slow. The only customers I’ve had this afternoon didn’t come in until 4:15.” He did note, though, that business has picked up recently with the arrival of the Winter Texans. According to Jose Gavino, Program Director of the Entrepreneurship & Commercialization Center at UT Brownsville and one of the people in charge of the Kauffman Fasttrac program, numerous Island businesses have indeed applied and taken advantage of the program, including Tom & Jerry’s Restaurant, Hartwell Talent and Production, and Ginny Ossana of Jake’s Flowers. For information about any of these programs, classes or training, contact the EDC website, or call (956)761–6805. You want to know why restaurants are going out of business? The food is terrible and the prices are high. These restauranteurs should get qualified chefs. Their wait staff are not professional. No money gets put back into the business to keep them updated. I rather spend my money in Myrtle Beach than SPI. I agree with the above comment. It used to be that the restaurants on SPI were one of the reasons for visiting, but it seems that most of them are concerned with the McDonalds theory of restaurant management. Get them in and out as quickly as possible, and give them the most packaged product out there. I’ve gone to many restaurants there and most serve fish and shrimp that are farmed in Vietnam! How incredible given that there is a gulf full of fresh fish and shrimp, and yet the restaurants do not serve this for the purposes of profit only. Actually guys I agree only half way. It is very important that the restaurants give good service…however some of the restaurants face tremendous difficulty due to the fact that the business is purely seasonal. You have much less of a rate of customers during the winter months than during the summer months. These are the same difficulties the hotels have. There are many places in the United States that have seasonal business and are doing very well because an owner puts in the time to supervise their workers. I know a place in New York that is only open during the summer and has been that way for over 50 years. The fact is there is not one decent restaurant on South Padre Island. I am originally from New York but have traveled around the country and the world. A restaurant cannot survive with bad service and bad food unless you’re in a remote part of the country which South Padre Island is. It is a recipe for disaster(no pun intended). The most important piece of restaurant equipment on South Padre Island is the fryer. The number one thing to have on hand is oil. I had mahi mahi once that could have been used as shoe leather. There is something in life called accountability which no restaurant owner on the island has. They return nothing into the business. I’ve lived here in the valley for 10 years now and have had enough. Time to pack up and move to civilization.